Now a 64-year grandmother, she moved into the left-hand seat in 1993, three years after joining the airline, and amassed more than 2,000 flights, or 18,000 flying hours. Her final commercial flight was from Cancun to Gatwick. 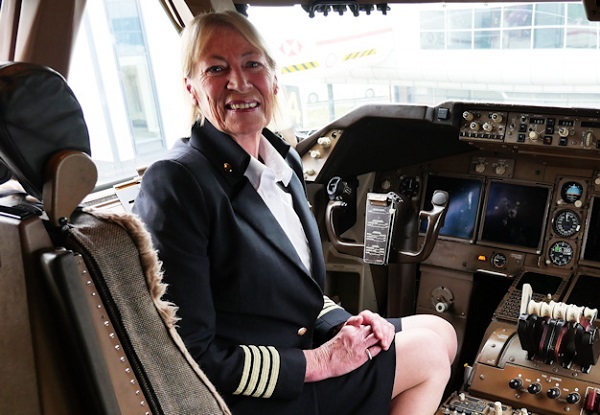 She said: "It has been a privilege to fly the flag for female captains. I've been humbled to act as a role model for young aspiring female pilots. After being in the driving seat of the world's most iconic plane for years it will be an odd feeling to be a backseat pilot." About 4% of UK pilots are female, although Virgin Atlantic says 30% of its pilot cadets now are women. Congrats to Yvonne for all those flying hours. Wish I had known about her when I was 18, I really wanted to be a pilot, but my Mum talked me out of it so I gave up dreaming of it & went into engineering. Oh how I wish I had been more stubborn!I still love flying and traveling, but my working career has been very much on the ground.